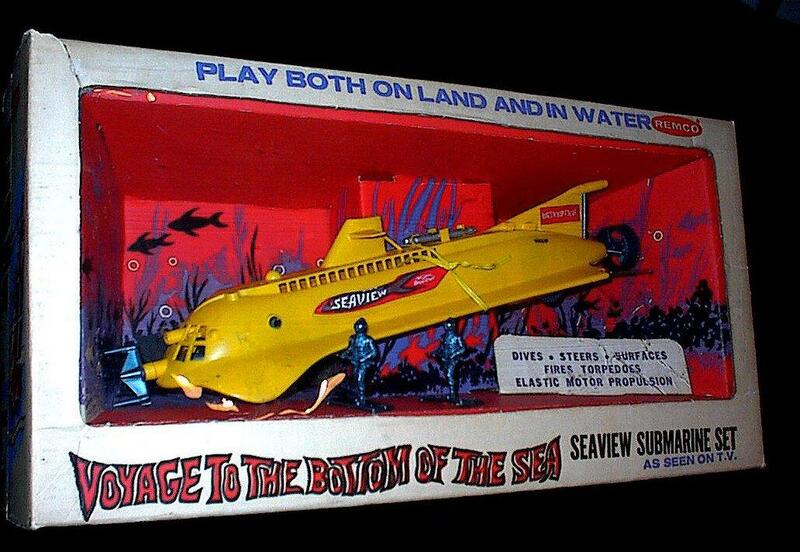 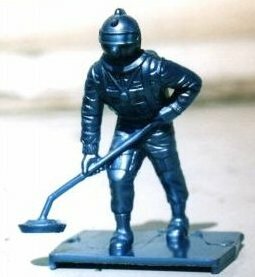 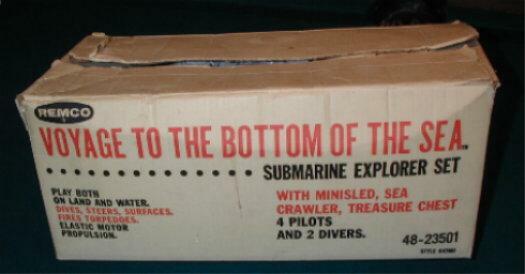 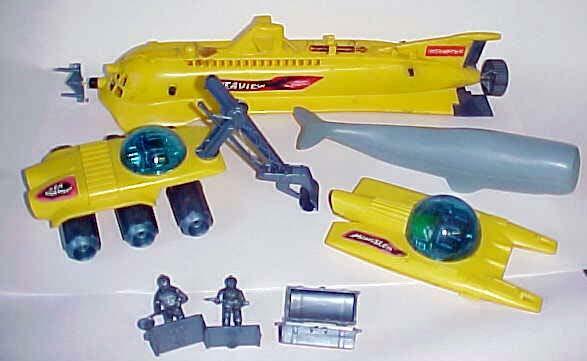 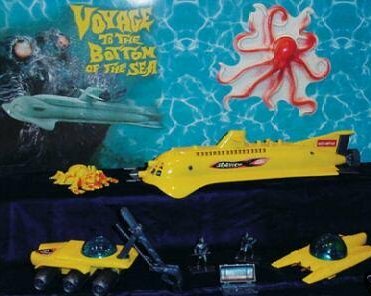 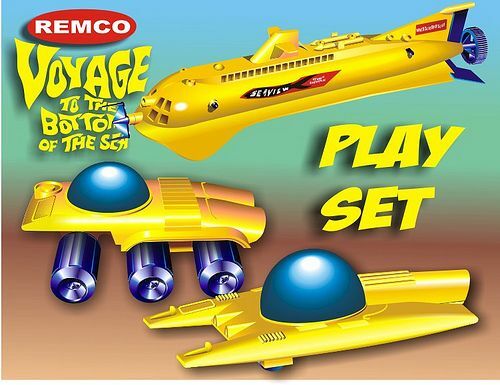 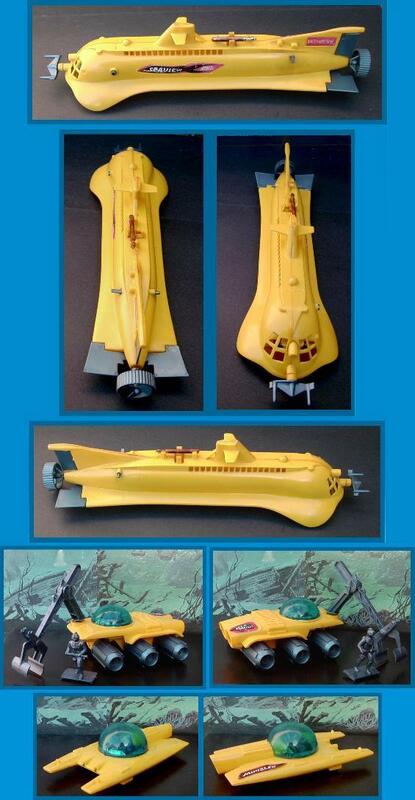 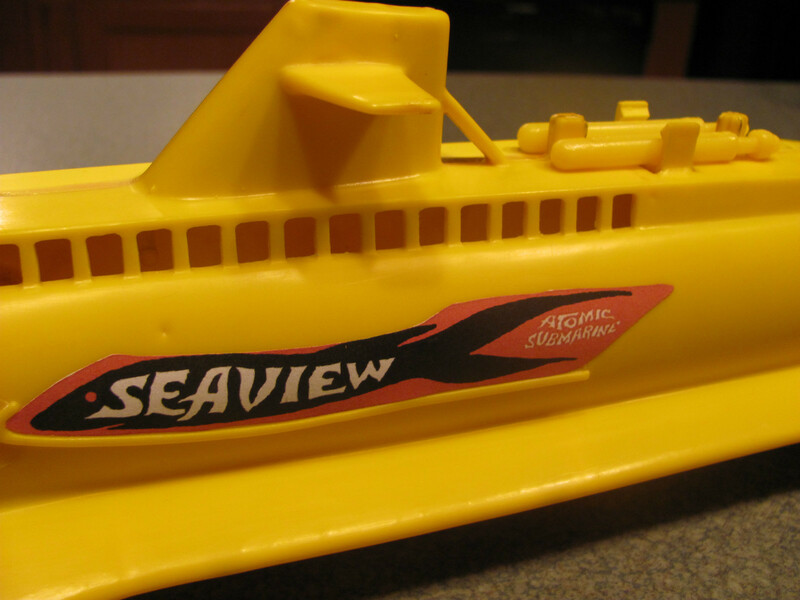 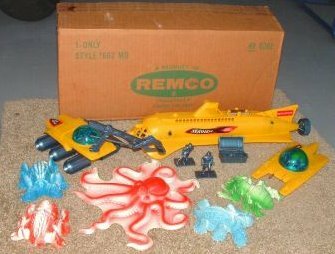 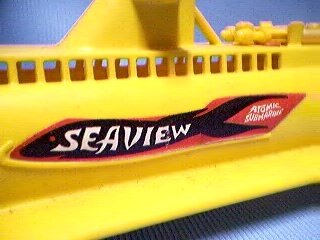 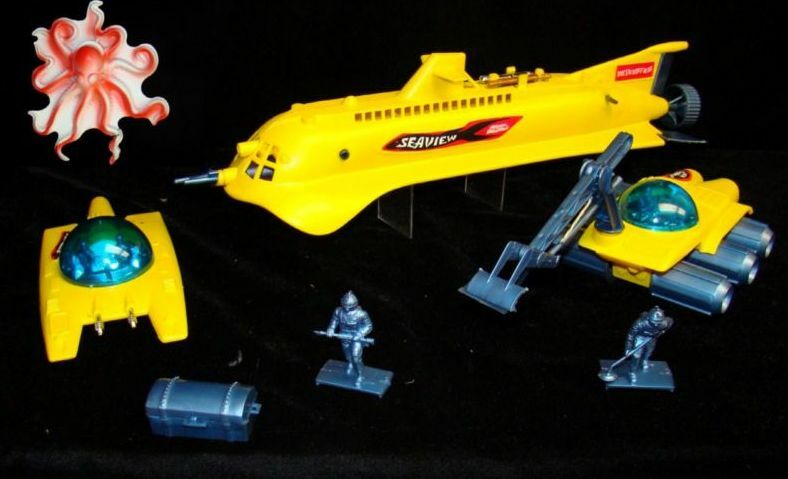 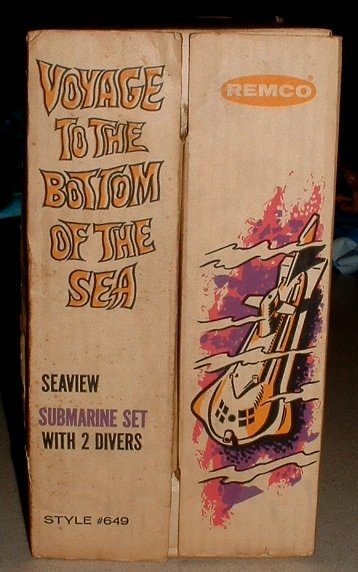 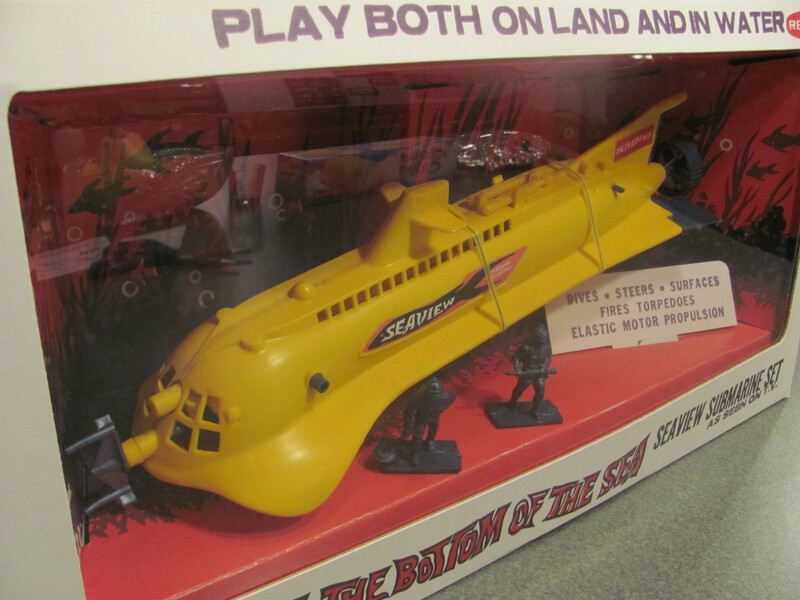 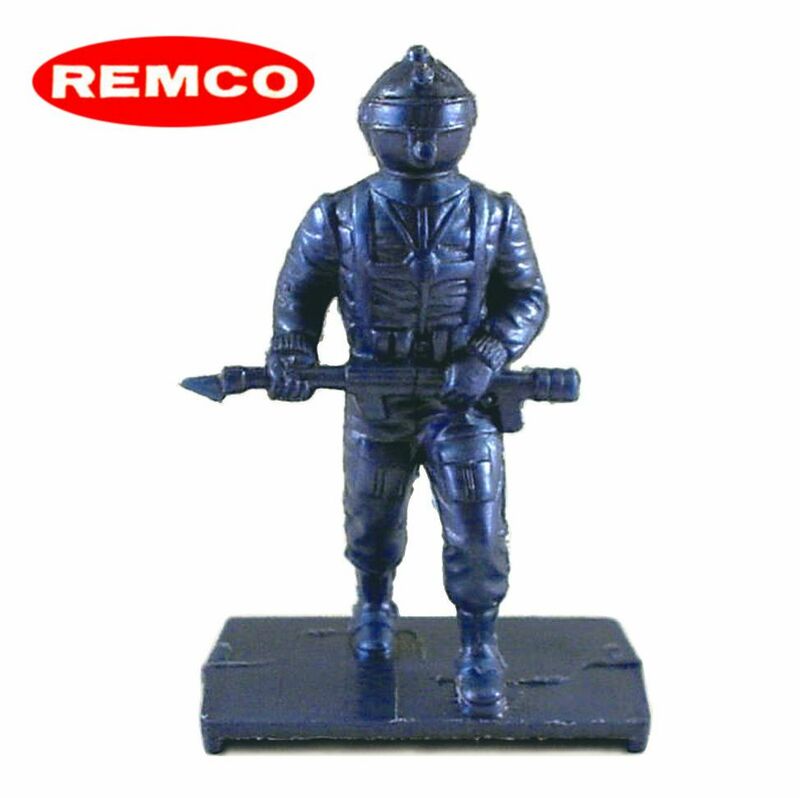 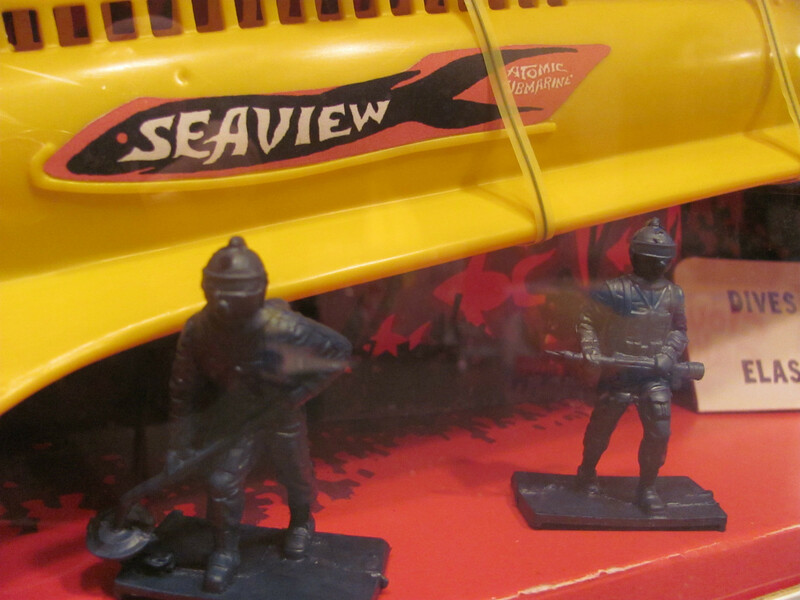 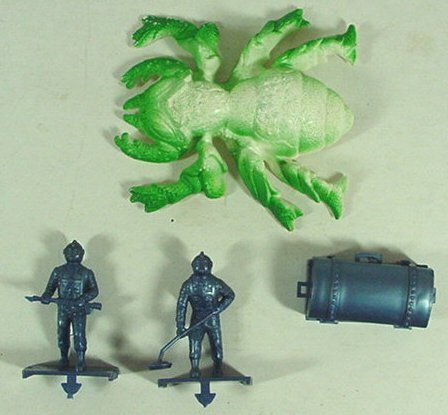 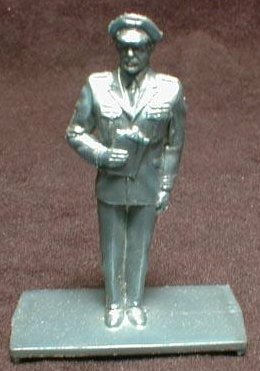 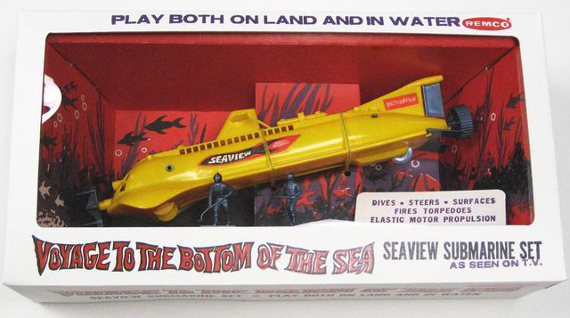 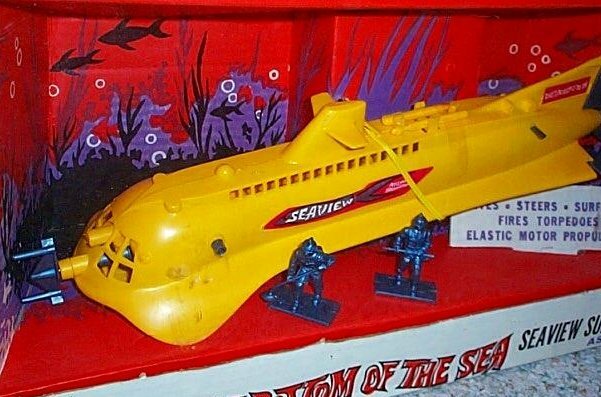 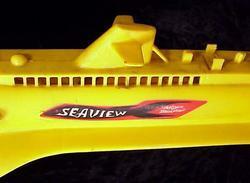 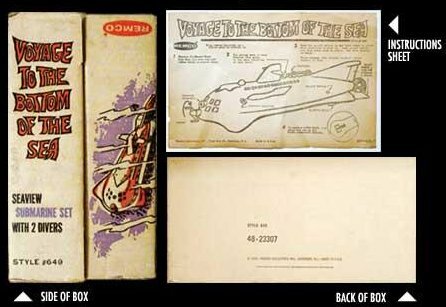 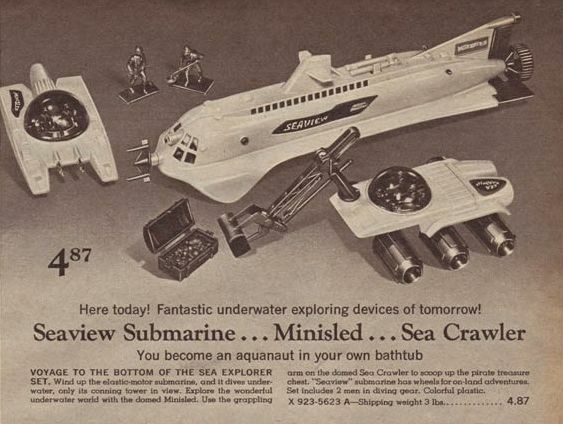 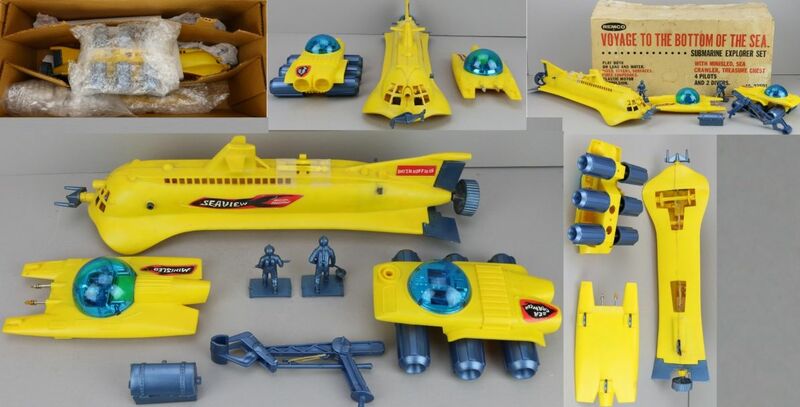 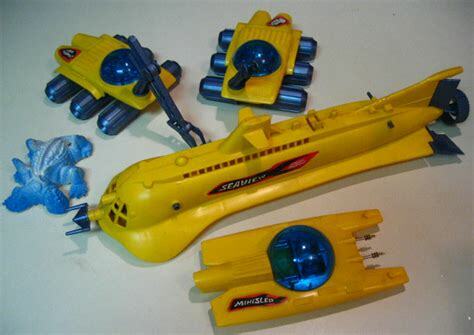 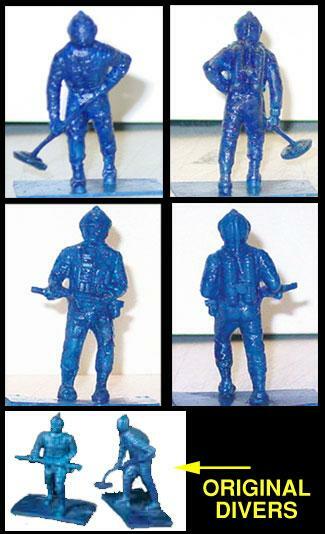 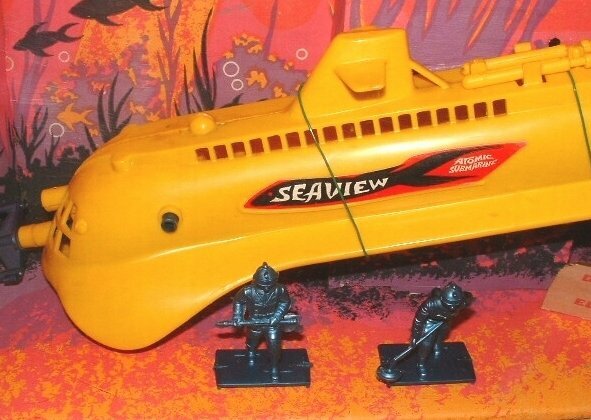 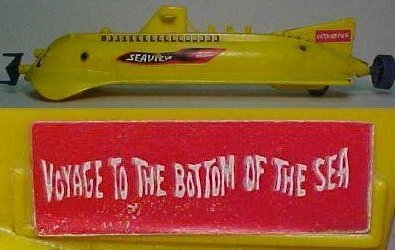 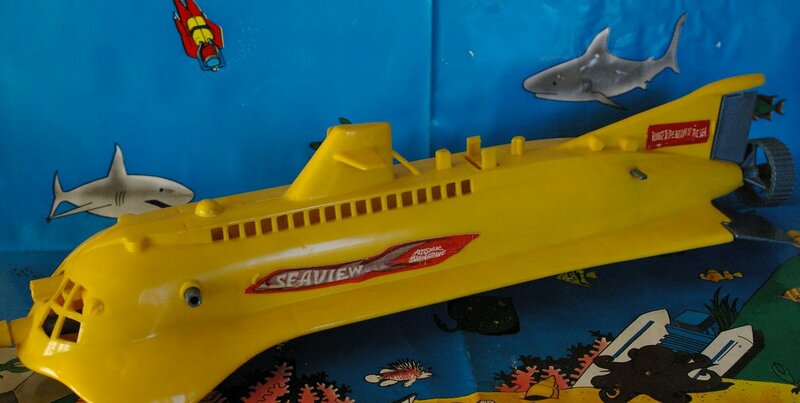 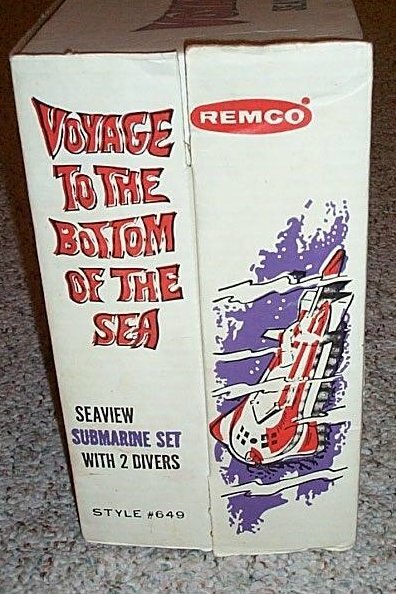 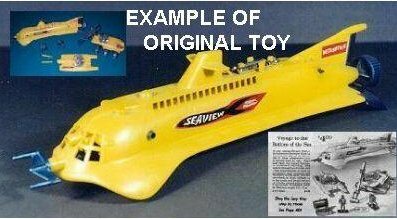 A complete set of the Remco Seaview toy sold at Sears in 1965. 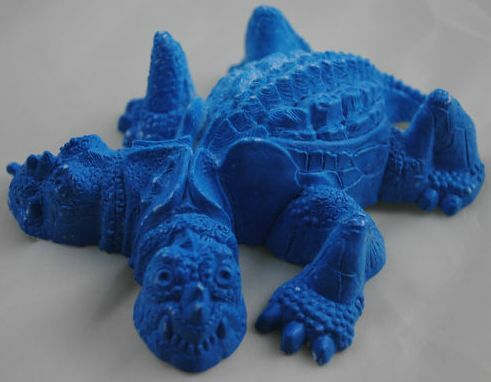 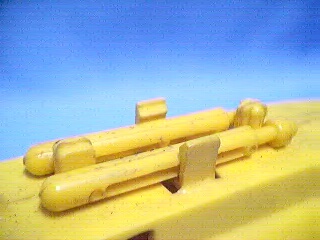 Made of yellow and blue plastic, measures 18". 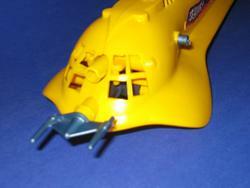 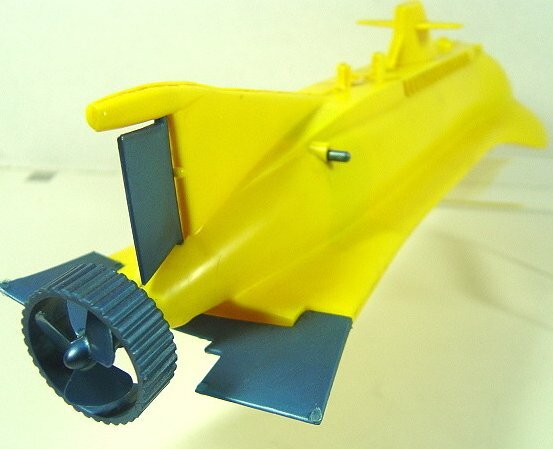 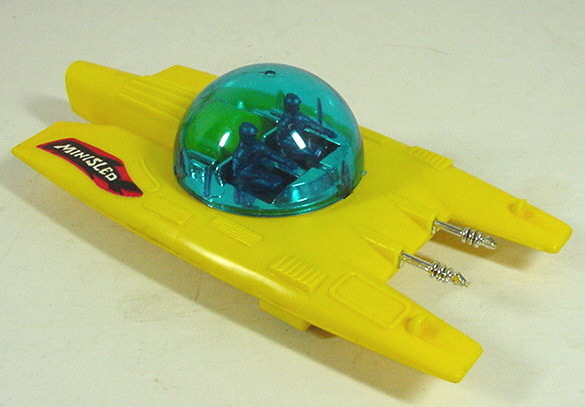 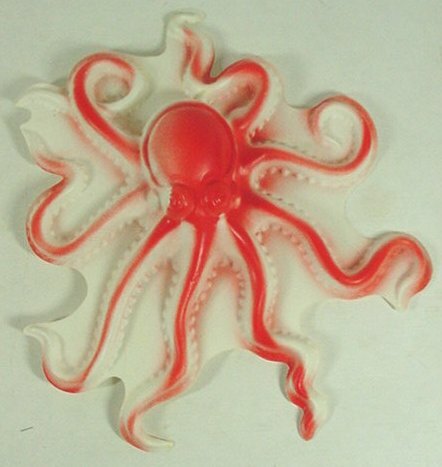 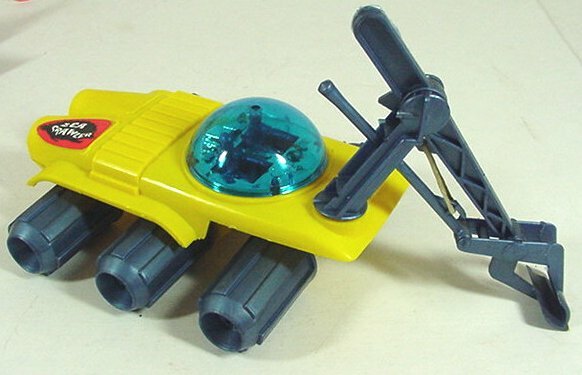 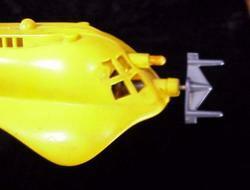 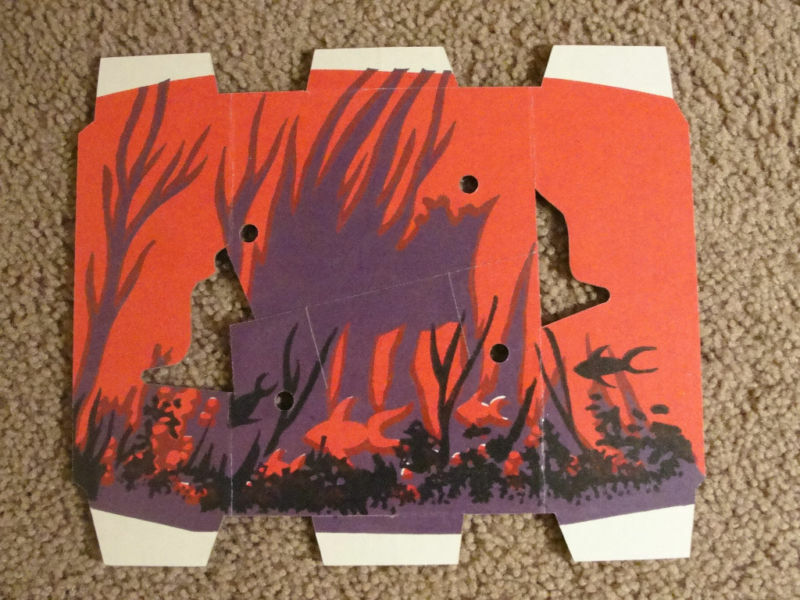 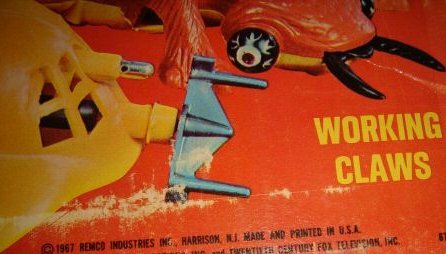 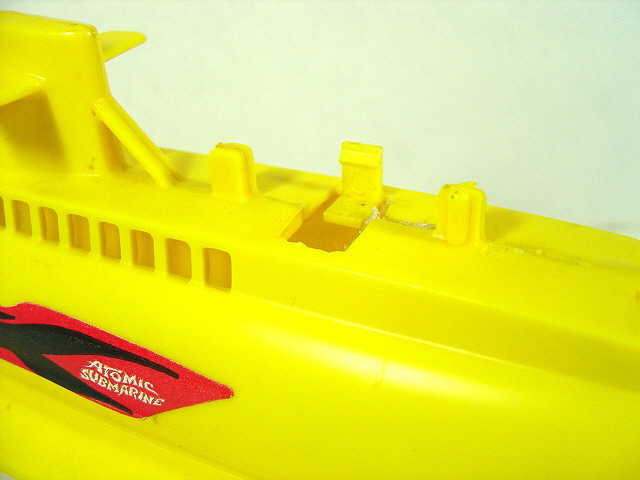 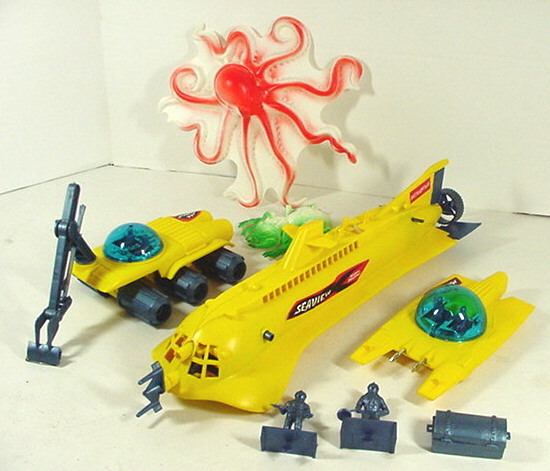 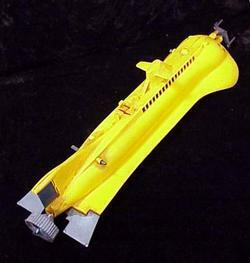 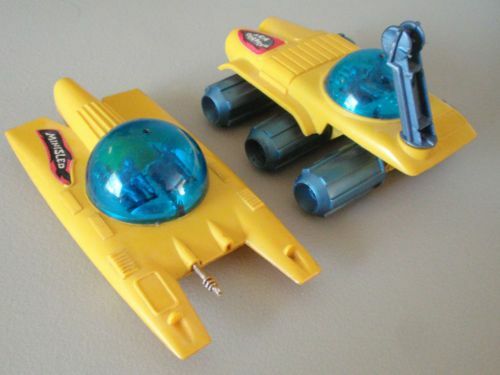 Includes bottom wheels, rubber band that can be wound up to turn propeller, with moveable parts and shooting torpedoes.